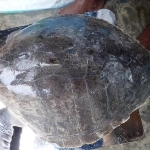 Ismile – On 22 December, our launch crew found a juvenile Olive Ridley turtle (Lepidochelys olivacea) at a local snorkelling site (Voavah). 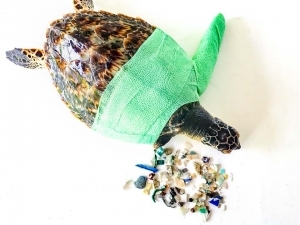 It was floating on the ocean surface, entangled in a ghost net (discarded fishing net), and was immediately brought to our Marine Discovery Centre. 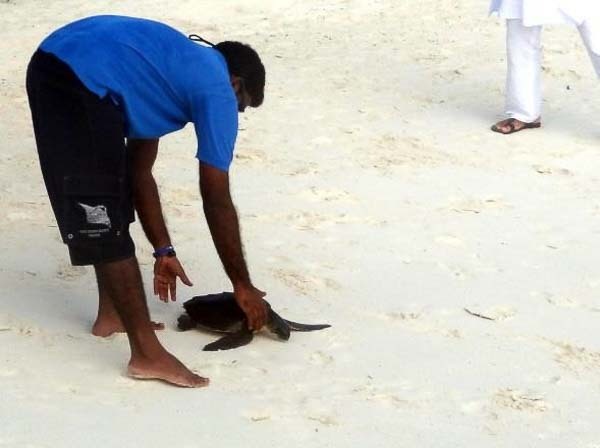 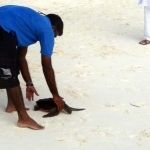 The turtle, named ‘Ismile’, was a juvenile (2-5 years old) and was suffering from some flipper cuts caused by the net. 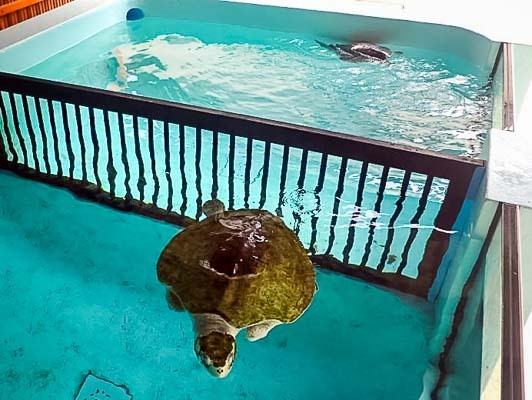 The injuries were treated, and Ismile spent a few days under observation in our recovery pool, where we could see that he had a healthy appetite and was able to dive properly (no buoyancy syndrome). 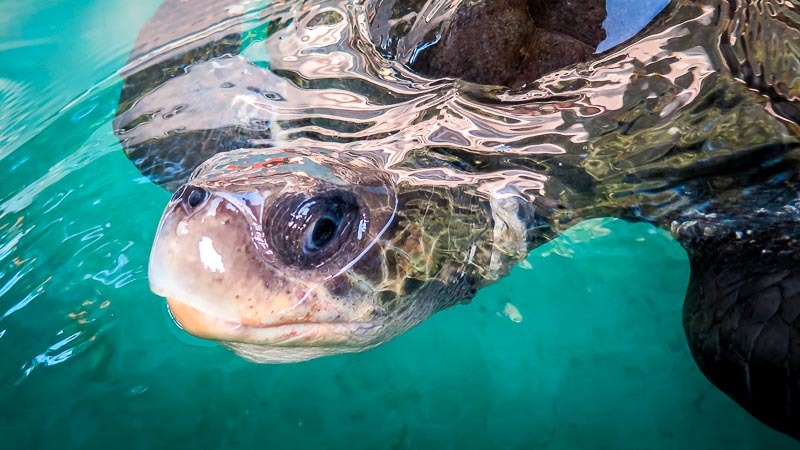 On 26 December we released Ismile back into the ocean, with a crowd of enthusiastic onlookers waving him a “bon voyage” from the beach. 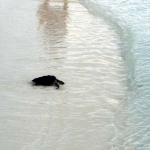 Kerry, Peggy and Zahiya continue to suffer from severe buoyancy syndrome, with little signs of improvement. 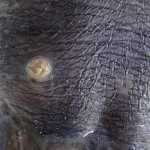 Lefty and Ossy seem to be slowly improving, but we have observed that some days are better than others (non-linear recovery) for reasons that we do not understand. 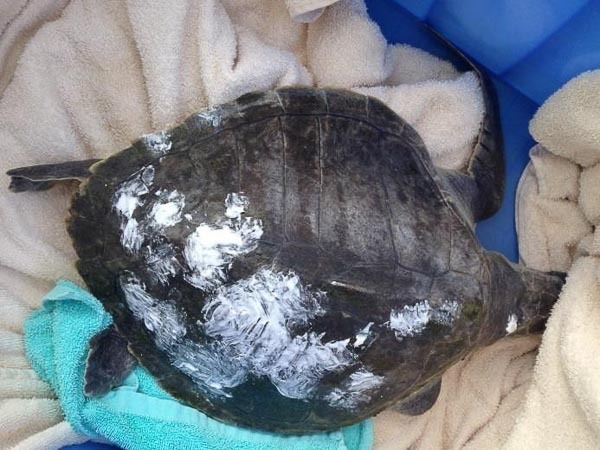 Lefty has recovered from her beak injury, but is now suffering from both a bacterial infection (carapace) and fungal problem (neck). 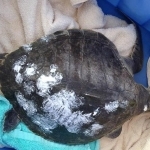 We are applying iodine solution and Candid/Gentamicin creams on a daily basis, but recovery seems slow. 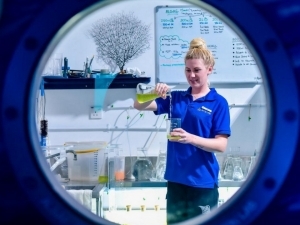 We were excited to welcome an expert in marine conservation to our Centres during December – Mathilde Richer de Forges, Senior Conservation Manager at S.E.A. 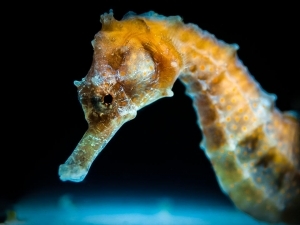 Aquarium, from Resort World Sentosa in Singapore. 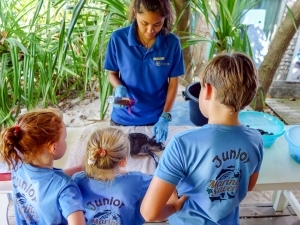 She visited both of our Marine Discovery Centres over five days, in order to get a clear vision regarding our future partnership, and to help us extend our knowledge in turtle rescue, fish breeding and coral propagation. 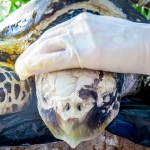 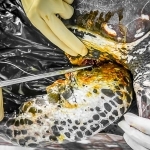 A specialist in marine veterinarian science will also be visiting, to review our turtle treatment protocols and train us in specialist rehabilitation techniques. 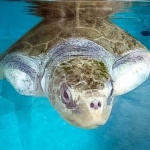 Another important step will be the exportation of our long term resident Elsa. 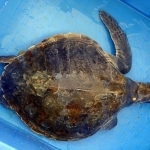 She is an Olive Ridley turtle, rescued more than a year ago and unfortunately with both front flippers amputated. 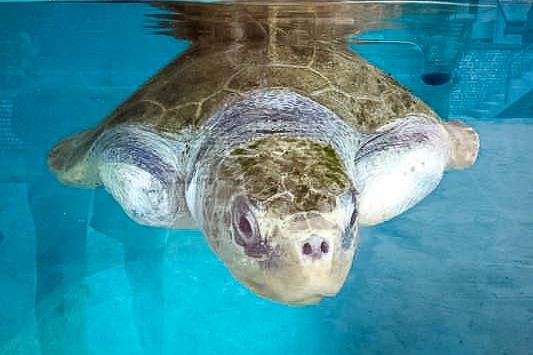 Her chances of survival in the wild are very limited, but she has recovered from buoyancy syndrome and is often seen resting at the bottom of her pool. 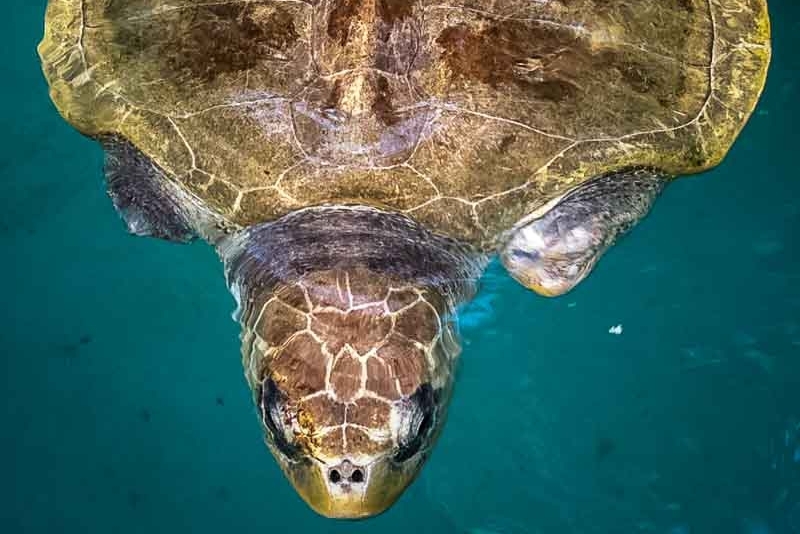 Sea turtles use their front (pectoral) flippers to propel through the water and their pelvic (rear) flippers for manoeuvring. 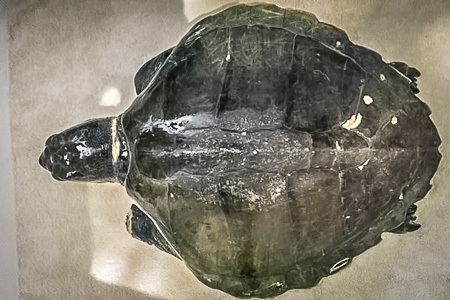 The pectorals move from a horizontal ‘airplane’ position, through a clapping motion underneath the body, causing forward motion. 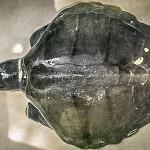 Without these important limbs, a turtle will find it difficult to feed and escape predators in the natural environment. 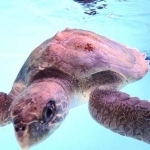 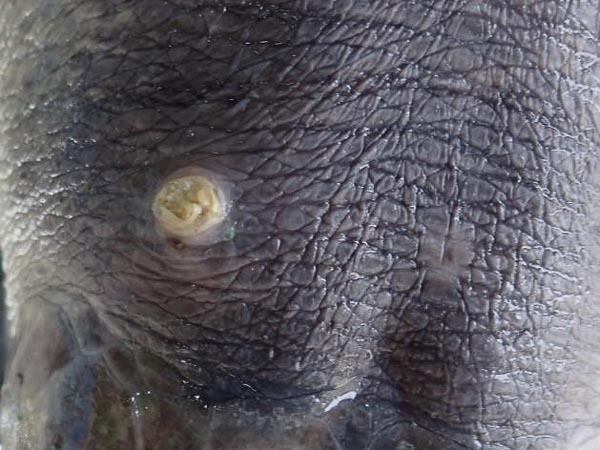 By sending Elsa to Singapore, she will not only have a much bigger home but will also provide increased awareness to the general public (5,000 – 16,000 visitors per day) of the challenges these endangered turtles are facing in the wild. 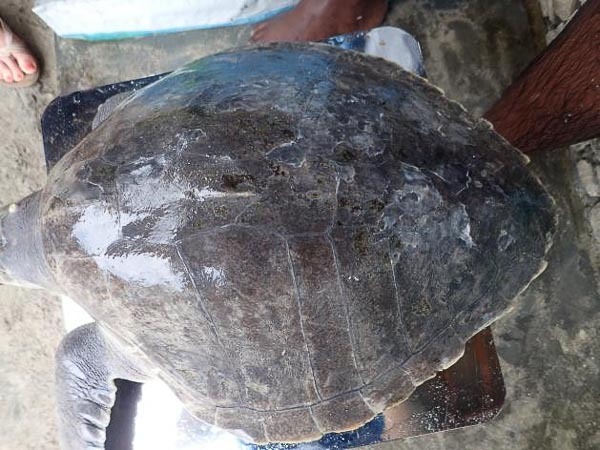 On 27 December, two Olive Ridley turtles (Lepidochelys olivacea) were found in Gili Lankanfushi by Marine Biologist Deborah Burn, and transferred to our turtle rescue centre (many thanks to everyone involved). 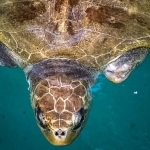 They were found tangled in ghost fishing nets and were suffering from various injuries. 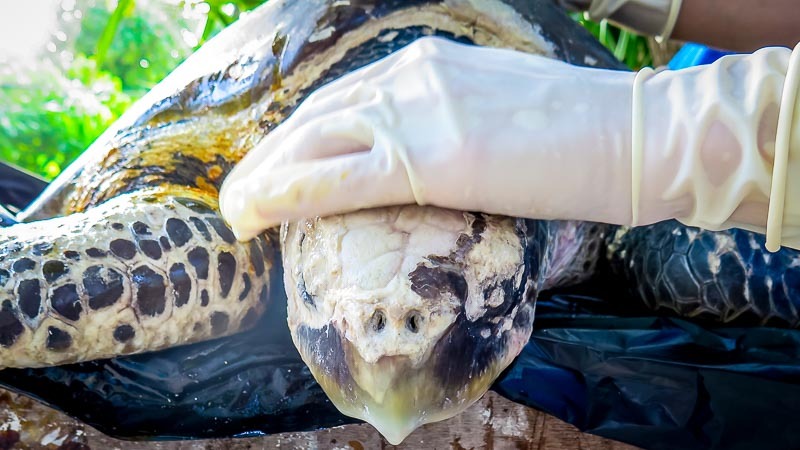 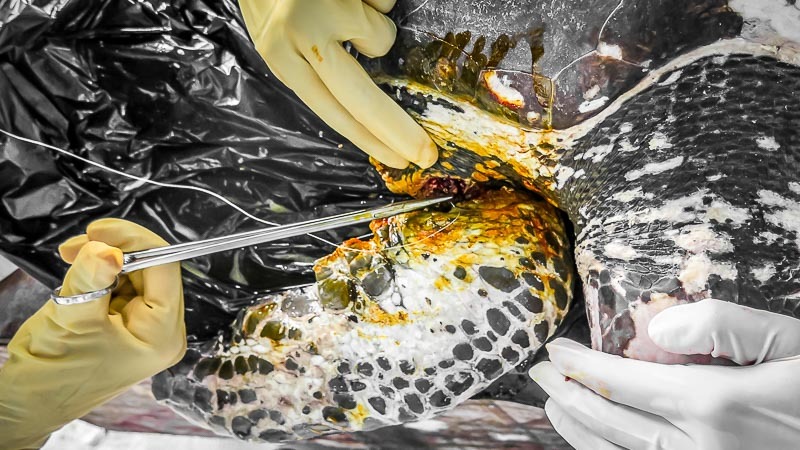 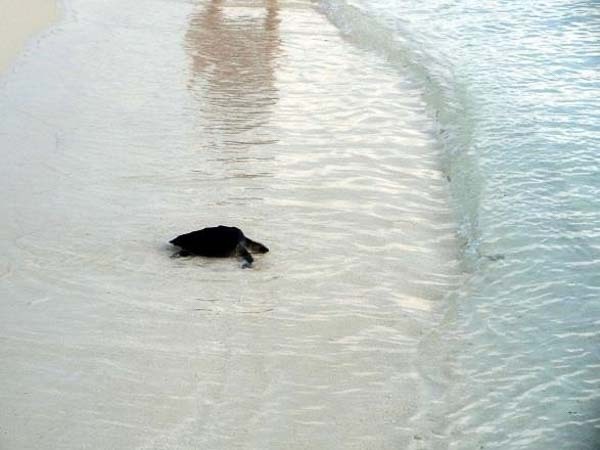 Upon arrival at our rehabilitation centre at Kuda Huraa, one turtle (OR116) was found to be severely injured, with a deeply lacerated front right flipper and serious abrasions covering its whole face. 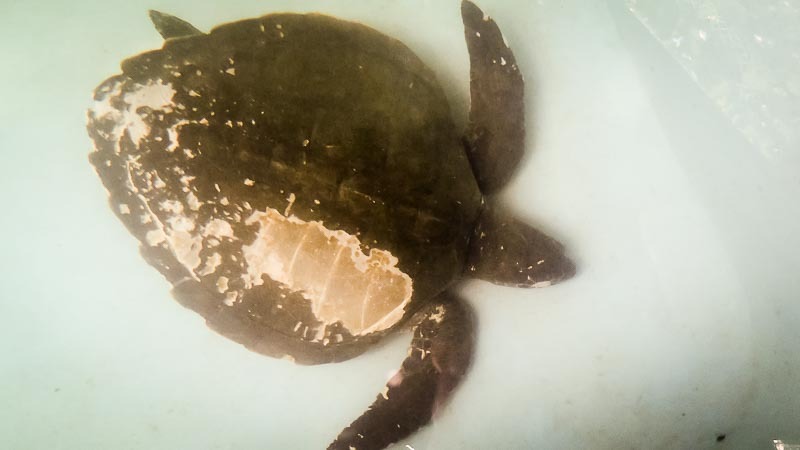 Despite our best efforts at rehabilitation, the 61cm female sadly died on 31 December. 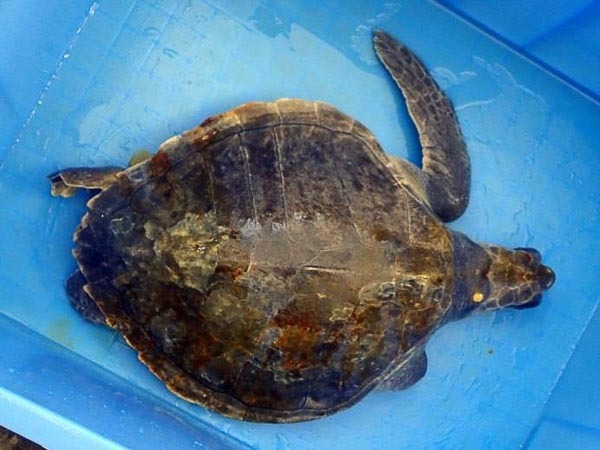 We named the second turtle ‘Maumun’ (OR117) – a 59cm male Olive Ridley. 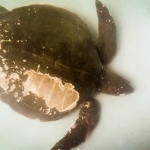 On arrival, he was suffering from deep lacerations to a back flipper, and also showed signs of ‘bouyancy syndrome’, spending much time floating at the water surface. 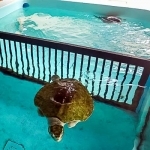 We have been cleaning his wounds daily, and he has developed a healthy appetite for crab and lobster ! 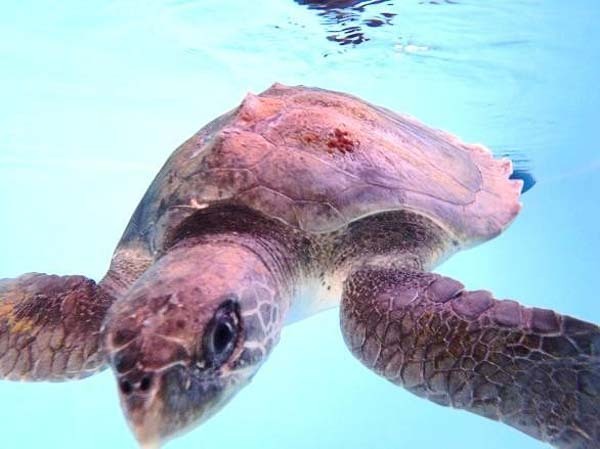 Mamun is now making a great recovery, with increased use of his damaged flipper and improved buoyancy – we have been spotting him at the bottom of the pool in recent days, so we are hopeful for an imminent release back to the ocean! 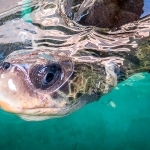 We are pleased to report that Mamun was successfully returned to the wild – after being lowered into the sea he quickly swam away out of sight.